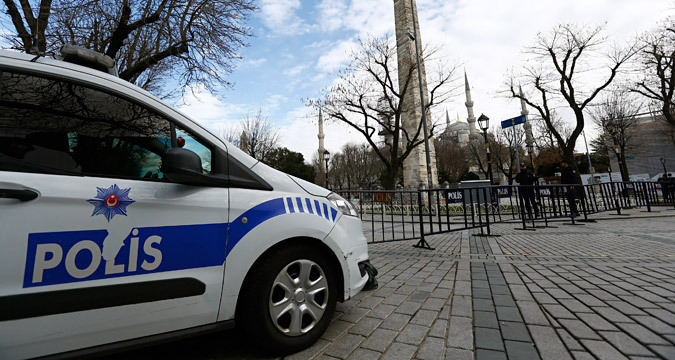 Police secure the area around the Obelisk of Theodosius at Sultanahmet square in Istanbul, Turkey January 13, 2016. Russian citizen Aidar Suleimanov, who has been charged in absentia by the Russian Interior Ministry's Tatarstan branch of involvement with the Islamic State (ISIS) terrorist organization, which is outlawed in Russia, has been released from a deportation center in Turkey, Kommersant newspaper correspondent Grigory Tumanov has said. "I have spoken to Suleimanov once again. He has confirmed that he was released without being charged. His dossier has been forwarded to the migration service," Tumanov wrote on his Twitter account on Jan. 15. The Russian embassy in Turkey currently has no information that Aidar Suleimanov has been released, Igor Mityakov, press officer for the embassy, said. "I can neither confirm nor deny this information," Mityakov told Interfax in a phone conversation. Suleimanov, and another two Russian citizens, were detained in Turkey earlier this week following Istanbul's terrorist attack, which killed ten people.